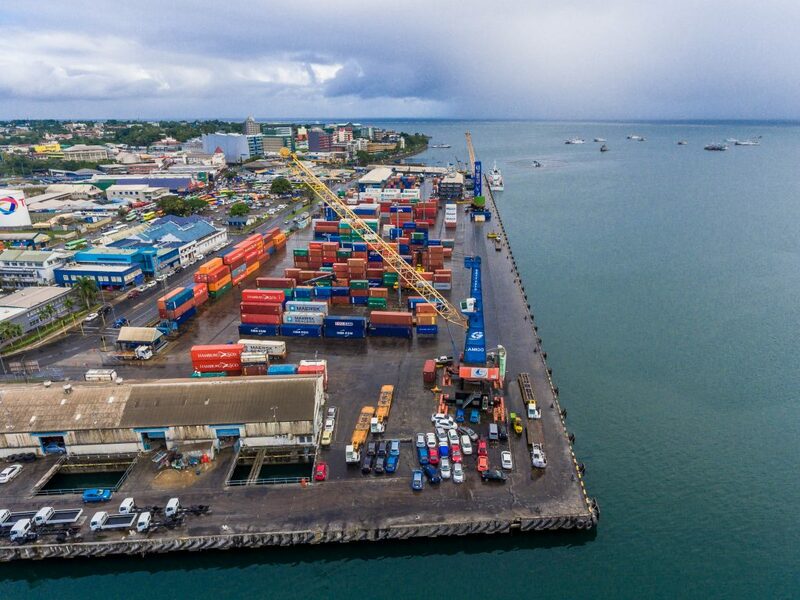 Port of Suva is Fiji’s largest, busiest and biggest container and general Port providing the maritime gateway to the country’s capital city of Suva. Suva is a picturesque city with a harbour nestled in the position of 18 degrees -8South, 178 degrees -26 East. Road, communications and air link infrastructure are of a high quality and standard comparable with Australia and New Zealand with easy access to major shipping lanes criss crossing from the US or Asia to Australia and New Zealand, easily making Fiji a suitable Port to hub for the South Pacific. 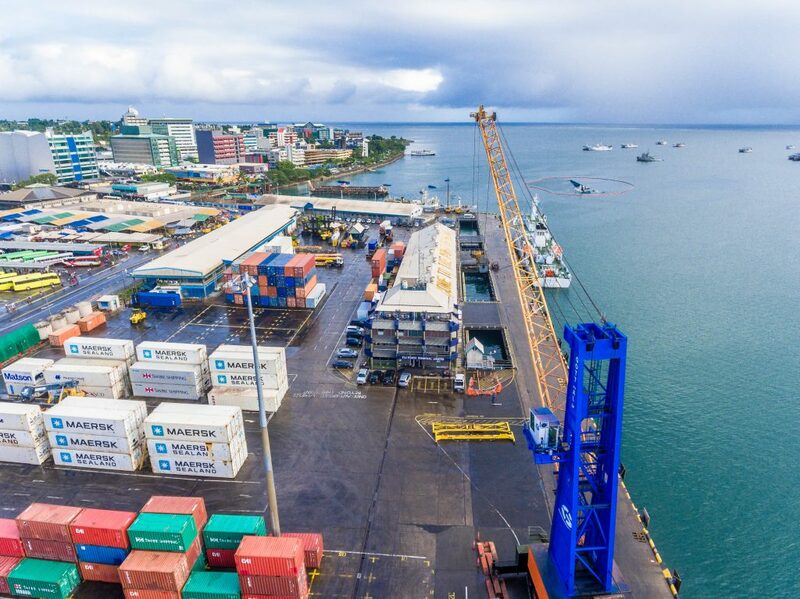 Port of Suva boasts superior Port infrastructure too its South Pacific neighbours and strong air links to the US, Australia, New Zealand and Asia. 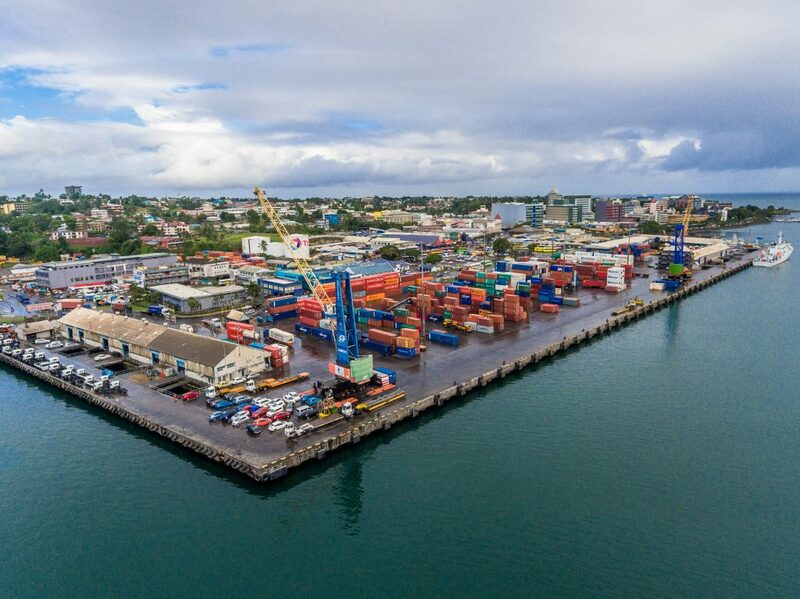 Additionally, the purchase of Gotwald Mobile Harbour Cranes has strategically given FPCL the armour to push up its productivity on stevedoring under its subsidiary arm of PTL, whilst investment in IT for its ‘yard planner’ module and CCTV has FPCL poised to put Fiji on the Port Industry map for the Port to do business with in these times. Construction of the Kings Wharf began in 1912 with a wooden structure which serviced Fiji and the Pacific Islands for nearly 50 years. In 1961 the wharf entered the era of concrete deck and piles with additional cargo sheds being built. By early 1970’s Suva Wharf was a bustling centre with the arrival of container and roll-on, roll off services. With the imposed additional constraints bringing with it technological advancement, reconstruction and redesign of the wharf was necessary. Work began in October 1982 to cater for this but the shipping industry continued to evolve with Lift-On and Lift Off advancement, by late 1990’s MPAF had to begin planning again for Port Infrastructure. October 2005 was the completion of FPCL’s $31 million upgrading and rehabilitation works on the wharf structure including a life line section designed to withstand high seismic activity. Tankers: Discharge lines 8 in. diameter. Depths alongside 11 m @ CD. No residue discharge facility. Stevedoring: Providing by FPCL’s subsidiary, Ports Terminal Limited.